FloStor Customer Service is your single point of contact for all of your installed system needs. We're here to help you optimize your system's performance, for the life of the system. Parts, service, system enhancements, training, and warranty issues can all be handled through our Customer Service. Our expert staff and dedication to service make all of your experiences with Customer Service positive. We're set up to support all systems installed by FloStor as well as systems manufactured and installed by other material handling companies. If your system was installed by a supplier no longer in business, or you'd just like to have your needs fulfilled by a quality professional service organization, we can help. All the support you need for your automated material handling system can be provided by FloStor. There are a number of service options available to you through FloStor, but no matter which you choose, you can rest assured that our dedicated service personnel are always ready to handle your needs on short notice. Routine service can prevent costly emergency repairs and downtime, reducing the overall cost of system maintenance. A FloStor technician can work with you to develop an ongoing maintenance plan best suited for your system. Emergency repairs require immediate attention from an expert technician. Backed by years of experience and the best training in the industry, our technicians handle any system repair. A detailed system audit can isolate areas in your system that may be robbing you of productivity. Worn parts, loose fittings, and faulty controls are outlined in a detailed system audit report. Audits are a great tool for keeping your system safe and on the right track. All your warranty-related issues are handled by FloStor Customer Service. Our no-hassle policy ensures that all issues will be handled promptly. Our goal is to resolve warranty issues quickly and with little or no interruption to your automated system. Getting the most out of your system requires that you fully understand it. A first and ongoing step in learning about your system is training. Proper training allows you to derive the most benefit from your automated system. You'll receive on-site training from our mechanical and controls specialists and receive the necessary information and application experience needed to ensure the success of your system. Considering the replacement of an older system? Technological advancements over the last few years may have left you feeling that your older system is no longer adequate for today's needs. Modernization of older equipment may be the most cost-effective route to take. A modernized system can perform at the level of a new system without the new system cost. Updated controls, software, and components may be all that your system needs for increased operating efficiency. Automatic guided vehicle systems, automated storage systems, conveyor systems, and software control are just some of the types of material handling systems that can be modernized or enhanced by our expert technicians. A system enhancement can provide the performance and efficiency of a new system at less than half the cost. Enhancements receive the same warranty and support that new systems receive. A material handling system is only as good as the parts that go into it. Proper performance, trouble free operation, and system longevity are all enhanced when a system is maintained with the proper parts. When you replace worn or damaged parts with quality OEM parts, you can be sure that they'll meet or exceed the requirements of your automated material handling system. We base our reputation on our systems, which is why all of our parts meet critical performance standards. High quality FloStor replacement parts prolong the life of your system and ensure trouble-free operation. Often, the best time to order parts is before you need them. Rather than waiting for a system failure, you may decide to enlist our expertise in determining an inventory level of spare parts to keep on hand at your facility. A parts specialist can manage an inventory of critical parts at your location and help you avoid a costly system shutdown. Knowledgeable parts specialists can recommend new technology options that can increase the effectiveness of your system. They can also answer your parts questions and provide any technical support you need. Our aim is to help you get the most out of your system in the most cost-effective manner. 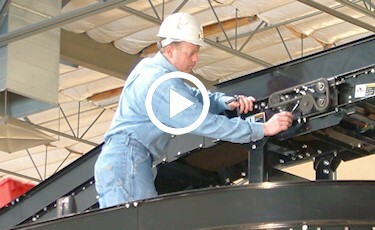 Maximize system up-time with a FloStor Maintenance Agreement to ensure peak system performance. FloStor offers flexible service contracts that provide routine scheduled maintenance for your system. A scheduled service plan can be set-up to keep your system running smoother, with increased up-time. Programs range from the basic requirements of monthly and yearly service to having an on-site FloStor maintenance technician to manage all of the essential maintenance. Based on your requirements, we will customize a service plan to meet your operational needs. Service agreements with scheduled maintenance times keep your system operating at optimal performance levels. It also saves you money in down-time and replacement parts over the course of your system's lifetime. Our service technicians ensure your system is always operating at peak efficiency. We understand the implications of an automated system that's performing at less than 100 percent. We also understand that you can't predict when a system failure may occur -- our customers operate at all times of the day and all days of the week. 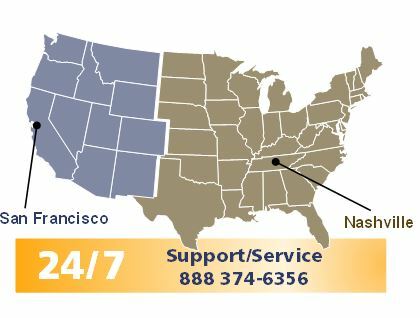 Because the need for service and support extends beyond 9 to 5, we're staffed 24 hours a day, 7 days a week. We make it easy for you to get the information you need to keep your system running smoothly. Our people are the key to the excellent service we offer. Our expert Customer Service staff has the best training and experience in the industry. Along with a strong general knowledge of automated materials handling systems, each staff member specializes in a particular area of expertise. This means that our service personnel will understand the intricacies of a particular problem, yet can also provide a solution that fits into the "big picture" scope of your operation. Our customer service database helps us provide highly responsive, even proactive, attention to your system. We keep all the information that we need about your system in a state-of-the-art customer service database. This database contains everything our technicians need to know to provide you with the highest level of service. Using the database, we can access and evaluate your system's complete service history and makeup. Our ability to track trends in service may uncover problem areas that may have gone unnoticed. This holds true whether you have a FloStor automated system or any other manufacturer's system. The result is savings in both time and money.